This past weekend was a great one. Although Chicago’s weather was very chilly. We even saw snow, but my friend, Regina and I set out to spend a day at the McCormick Place, where the Black Women’s Expo was held. It turned out to be a very uplifting, fun and exciting day. I was so excited because I had been anticipating that day to unite with four dynamtic women who I had been communicating with online in preparation for the day. So when we finally came together in person it was such powerful energy in the air I could almost see it. Versandra Kennebrew was excellent in leading the way on the discussion on self-care. We all shared our input as healing artists, business women and sisters coming together. Myself, Katina Love of Michigan, Ottoweiss Campbell, of Chicago’s south suburbs, Pat Boone, also from South Suburbs and Versandra flew in from Atlanta. I truly hope we get the opportunity to collaborate again. These ladies are published Arthurs, lead radio shows, businesses and more, dealing with Wellness and supporting women. My friend Regina and I enjoyed the food, fashions, make-up, all the interesting people, art and more. We are looking forward til next year. 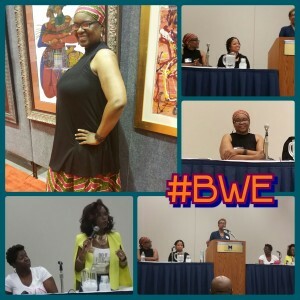 If you never attended The Black Women’s expo, you are missing something great. I appreciate all the people who attended our discussion. I hope you enjoyed everything as much as I did. Stay tune to my blog because this week I’m headed to Dallas, Texas for Nature Sunshine National Convention. Follow me on Twitter, Snapchat, Periscope and Instagram @momsherbs. I plan to share this event on my social media!! !